It’s no secret by now that most of the food sitting on store shelves is unhealthy. Canned fruit – something we’d think would be healthy – is saturated with corn syrup; breakfast cereals are loaded with sugar; milk is infused with chemicals – and so on. We all know the importance of a well-balanced, nutritious diet (or we should). Namely, nutrition provides the necessary elements for our body and brain to function properly. So, why are many of us bad when it comes to eating right? About 69 percent of adults are overweight or obese in the United States. To be fair, body mass index (BMI) – the measure used to determine weight class – is considered by some experts to be a flawed method; not accounting for bone density, muscle mass, and body composition. But we know overweight when we see overweight. Digression aside, our children should not be overweight, because this has a significant impact on their development, mental and physical health, and well-being. The food we feed them today will affect their physical and mental health tomorrow. In this article, we discuss five types of foods that children should never eat. We also list some dietary recommendations that’ll benefit childrens’ development. Processed meats are grouped into six categories: fresh processed meat products, cured meat pieces, raw-cooked products, raw (dry) fermented sausages, precooked-cooked products, and dried meats. All six categories of processed meats have been classified as carcinogens by the International Agency for Research on Cancer – a branch of the World Health Organization (WHO). In other words, health experts have discovered a link between processed meats and cancer. We all should be monitoring our intake of meats, but this is particularly the case for children; as their bodies – internal organs, digestive system, etc. – are not yet capable of efficiently converting and eliminating unhealthy fats. The three most commonly consumed artificial sweeteners are aspartame, sucralose, and saccharin. Understandably, people (including this writer) embraced artificial sweeteners as a healthy alternative to sugar – but this may not be the case. Astonishingly, aspartame is included in some medications designed for children – and without proper labeling. Antibiotics, antacids, and Pedialyte products contain the substance. Studies have shown that some foods (mostly cereals, candy, deserts) and sports drinks contain food dyes harmful to children. Red 40, Yellow 5, and Yellow 6 are three synthetic dye varieties that may cause abnormal behavioral patterns in children. Synthetic dyes may also trigger potentially dangerous allergic reactions; often accompanied by symptoms such as hives, itching, and swelling. In the face of mounting scientific evidence, some companies have scaled back or eliminated the use of artificial coloring in their products. For parents, this is a comforting step in the right direction. However, many products containing dyes remain on store shelves. For safety, it is advisable to avoid feeding “highly colored, highly processed” foods to your kids. “Wait, arsenic?!? Isn’t that a type of poison?” Yes, it is. Shockingly, this chemical may very well be present in your kid’s food – especially if you’re feeding your little one rice. Many baby foods contain some variation of rice. It is estimated that nearly 80 percent of babies eat rice cereal within their first year. Okay, this last one should be a no-brainer. 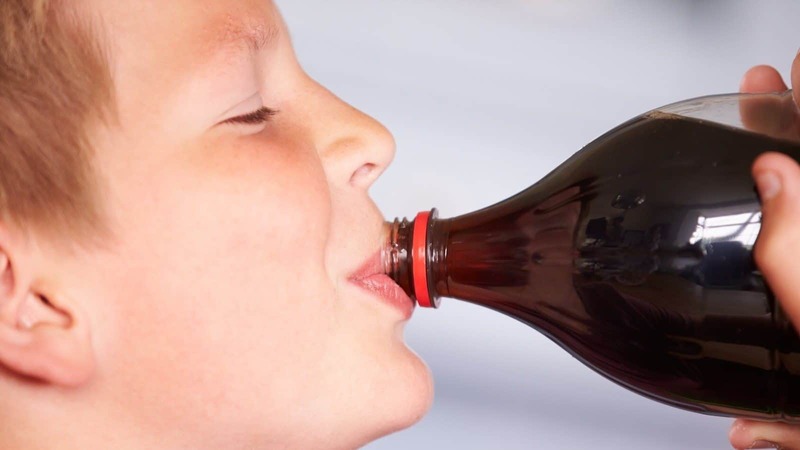 Soda is loaded with sugar, devoid of nutrients, and flush with calories. A regular, 20-ounce soda can contain up to 50 or grams of sugar – between three and four times the amount a child should have in a day. Type 2 diabetes, obesity, and mental disorders are all linked to high sugar intake in children. – Give the child several fruit and vegetable options every day. – Buy fresh fruits and vegetables, if available. Frozen or canned varieties (low in syrup) are the second-best and third-best options. – Provide several healthy sources of protein. Chicken, fish, eggs, nuts, and turkey are great options. 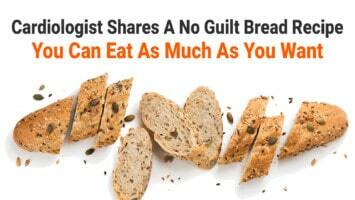 – Serve whole-grain bread and cereals. – Offer no-fat or low-fat dairy products, such as cheese and milk. – Ensure the child remains adequately hydrated. 5, 8-ounce glasses of water (5-8 years), 7 glasses (9 to 12 years), and 8 to 10 glasses (13+ years) are recommended. – Limit or eliminate fast food meals. – Demonstrate healthy eating habits yourself. – Read all food labels and do the appropriate research.